Nachman Networks provides information technology services, technical support and computer networking solutions for large and small companies throughout Washington DC, Maryland and Virginia. Need Answers About The Cloud? Nachman Networks is your new partner for all your business tech services, IT support and managed IT services. Nachman Networks provides Enterprise Level Engineers for companies throughout Washington DC, Northern Virginia and Maryland. Dave Nachman began working his Dad’s computers at the age of five and started programming in BASIC at age nine on a Commodore64. Remember those? But, we don’t have to go back that far! Dave is certified MCSE, A+, CCNA, and a certified Instructor for Microsoft and Cisco. Trust Dave and the Nachman team to be your Microsoft Support specialists and Cisco Security experts. Nachman Networks offers Data Backup and Disaster Avoidance solutions to keep your data secure, accessible, and reliable at all times. 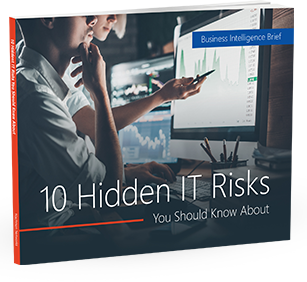 Don’t risk data rebuild costs, reputational damage, employee’s jobs, and potential legal liability. Nachman Networks specializes in expert planning, implementation, auditing, monitoring, and management of complete security solutions. Download Our Guide On Your Must Do Cloud Solutions Checklist. Need Proof That Nachman Networks Provides Great Tech Services & IT Support? His immediate attention, professionalism, and ease of fixing my computer remotely in front of my eyes was astonishing!!! Thanks Dave!!! You're the best! I really appreciate all your help and patience with my limited computer knowledge. They made the transition as easy and painless as possible, and within our scheduled timeline. They provide friendly and responsive customer service. I highly recommend Nachman Networks as the premier small business provider in professional network and computer services. As you know email is our core vehicle for communication and we rely on its availability to perform our jobs. (As usual!) Your team is excellent and you and your team are AWESOME! We’re There to Take Care of Your Washington DC, Northern Virginia & Maryland Business IT!